No Easy Props related programs, projects & events. 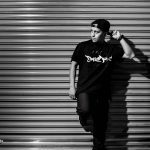 The Bboy Summit continues to be the major trendsetter in Hip-Hop street dance, art and music lifestyle culture. Established in 1994. 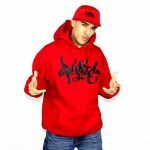 Colorado’s B-Boy Factory is Denver’s original Bboy studio dedicated to the preservation of authentic Hip Hop culture. 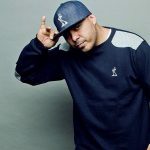 No Easy Props was originally founded in 1997, as a movement to inspire greatness in Hip-Hop, where merits were awarded based on authenticity, hard work, and skills! Now No Easy Props has been reincorporated as a non-profit as of 2010. No Easy Props is committed to preserving Hip-Hop culture by providing quality Hip-Hop cultural dance, art, and music education, and entertainment for young people through engaging workshops, performances, and competitive events throughout the communities of Los Angeles and beyond. The goal is the provide a platform in which to engage the youth, on their own terms, and build self-esteem, leadership and the importance of cultivating their own individuality and appreciation for diversity, all the while having fun! Currently the two main entities of No Easy Props are the Hip-Hop 101 after school dance and art program, and the Bboy Summit annual event. 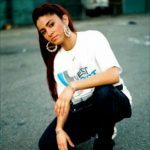 Director Asia One is known worldwide as a seasoned educator, performer, host/ judge, a B-girl icon, Hip-Hop pioneer/activist, a visionary trailblazer and trendsetter. Yalda Fonooni was born and raised in Los Angeles and has worked in the field of after school programming for over 15 years, starting with after school Allstars. 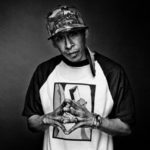 Frankie “Flave” Nunez started dancing at 13 years old in East Los Angeles, California. 19 years later, he is still as passionate as ever about Hip-Hop and b-boying. 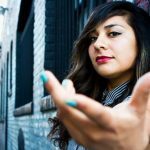 Lilian “LilyBreeze” Ortega is a Dancer, Performer, and Teaching Artist. She is a first generation Latina, born and raised in San Fernando, CA. Ricky “Stuntman” RocAny began dancing in 1993. Starting out as a hobby, it quickly developed into a lifelong passion. Artson’s always had a love for the arts of Hip Hop. Born in El Paso, Texas, it was the dance that first caught his eye & opened the door to the culture that would become his life. No Easy Props 2017© . No Easy Props is a non-profit 501c3 status corporation.